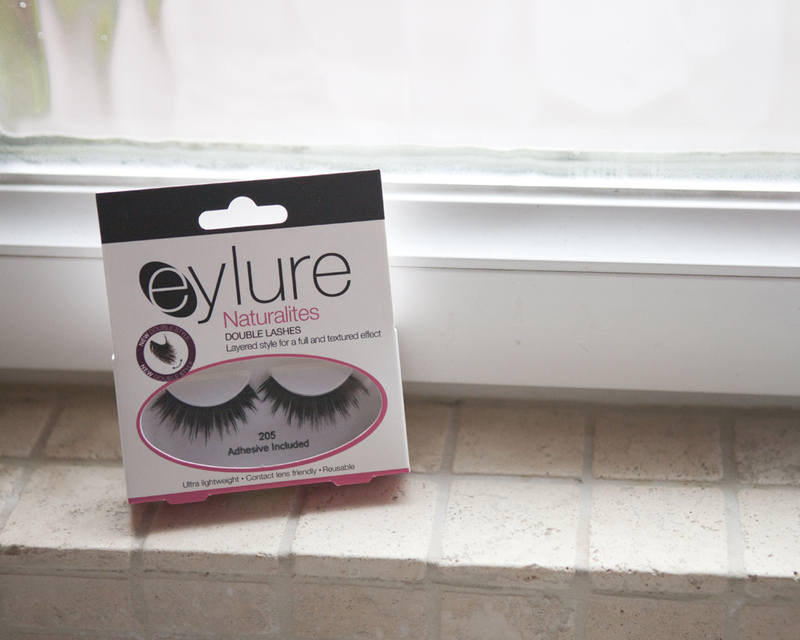 Eylure are one of the leading brands of false lashes on the high street - always of high quality, reasonably priced and easy to get hold of. So when one of my lash-loving friends told me about their new double lashes I was rather excited. The idea is is that there are two layers of lashes, at different lengths, almost as if you are wearing two sets of falsies with only one strip band. I bought a set of the '205' (they also do a '202' which are also double, but different to these) lashes in Boots for £6.95 which I think is fab considering how much you'd be paying if you bought something like this from the likes of MAC etc. At the moment they are on 3 for 2 at Boots too - even more of a bargain! 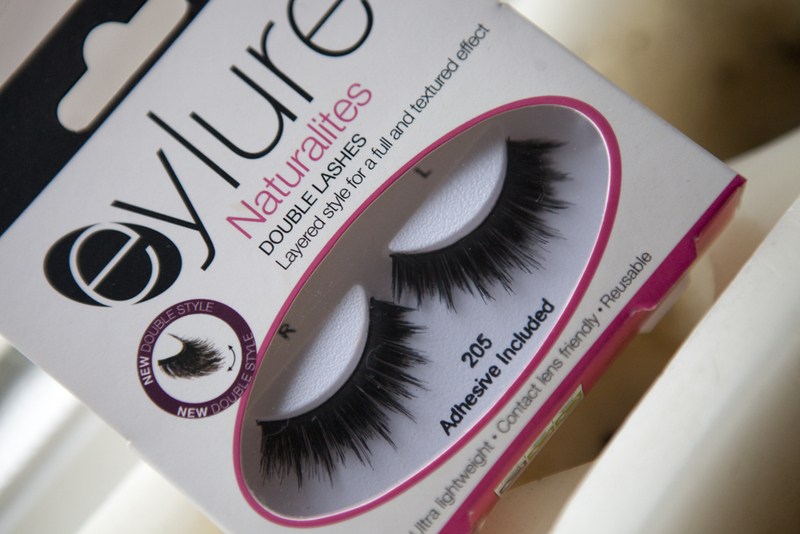 They come with eyelash glue and are reusable - I've already worn mine twice and they still look fab. The strip on them is thick which makes it look like you have fab eyeliner on, and the lashes are really high impact and draw a lot of attention! They are relatively light considering how much lash is there, although you do see them in your eyesight all the time. Hope you enjoy the pics! They look great!!!! Might have to pick some of these up. Thank you Zoe! How strange, my Mum said the same thing! And two people that night also told me I looked like 'the bird of Coronation street who's just had her lils done' nice. Ooh, these look fab on you! I like false lashes but I have to be careful with size as they end up sweeping against my glasses! Thanks girls - be sure to let me know how you get on! you really do look like eva!